This is a quick guide for online sellers in Turkey to establish a presence on Amazon UK. This post has been put together by Prabhat, founder at Online Seller UK and Adam from FD Analytical, a UK based Accountancy firm. 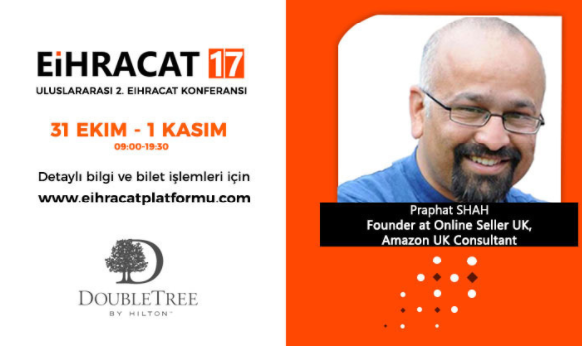 Prabhat will be speaking at the EIHRACAT17, Turkey’s Largest E-Export Meeting on expanding your presence with Amazon and you can meet him in person to discuss more. Can I register an Amazon UK account as a Turkish company? Can I use a Turkish Bank account for registration? No, you have to use collection account provided by Payoneer. Can I register a UK company to sell on Amazon UK? Yes, you can, a new limited company can be registered with Companies House within the United Kingdom, which could act as your trading company in which to operate your Amazon business activities. This company would (typically) need to pay and comply with UK tax law and legislation.